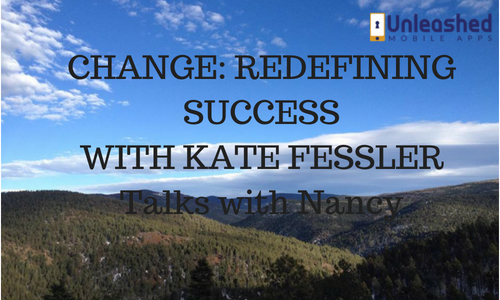 Kate Fessler chats with Nancy about her journey and her several life changes which lead her to become The App Mama. Listen to this fascinating episode here. 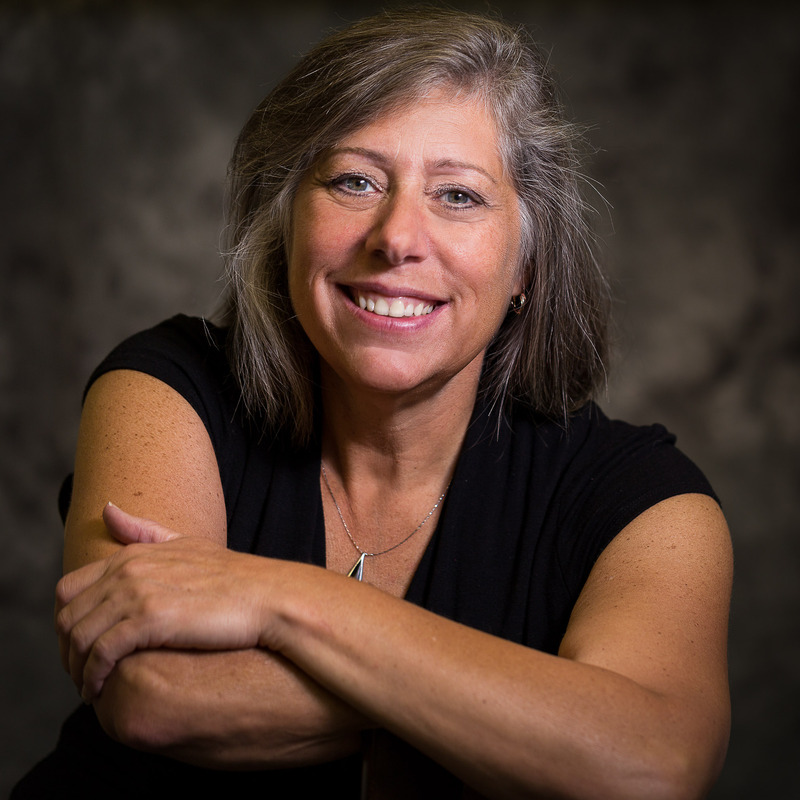 Kate: This week my guest is founder of Unleashed Mobile Apps and #1 best-selling author Nancy Lucchesi. 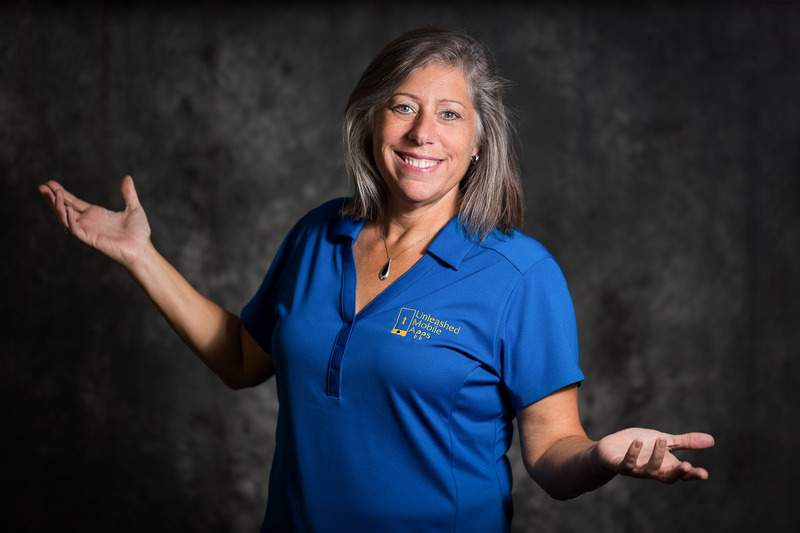 Nancy’s work centers around helping other small business owners bring their visions to life. After several decades of business experience, primarily in sales, Nancy finds joy and satisfaction in helping other business owners succeed. She considers small businesses the heart and soul of this country and believes they play a key role in strengthening their communities. Nancy’s favorite part of her work comes when her clients succeed in their businesses through technology. Nancy is an avid Packers fan and loves to travel – especially when it leads her to a beach. Kate: I have to agree to disagree on the Packers I am of course a Seahawks fan, but I do love to travel and love the beach so we’re in agreement there. Nancy: Healthy competition is good! Kate: Let’s go back to the beginning of your career. You haven’t always been a mobile app developer. In fact, when you started your career were mobile apps even a thing? Nancy: No, no, they weren’t. If you were to have asked me what I wanted to be when I grew up being an app developer would not have come out of my mouth. Kate: You started like many of us in the corporate world tell us a little about that. Nancy: I originally went to school to be an x-ray tech. In learning to do x-rays and getting jazzed a little bit into the cardiac area and the vascular area. I found myself working for General Electric in medical systems. I traveled all over the country and taught people how to use the CT and x-ray machines they just bought. Kate: What made you decide it was time for something different? Nancy: After travelling for 4 years. 360 days a year it was getting to be a bit much. I was never home, wasn’t able to settle down and make relationships or even able to clean my closet. I was gone all the time except 2 weeks vacation and Sundays. I decided to take an opportunity to move out to Arizona. I was actually in NC and moved to Arizona and I became an insurance agent for quite a few years. Kate: It’s hard to switch careers but you went on a totally different industry. Nancy: I did. That was based on my family. My entire family had been in the industry. After growing up with it and hearing over and over again I’d be a good salesperson I jumped on board. Unfortunately at GE on the technical side they didn’t think I had the ability to be a salesperson. So I listened to my father. Kate: I’m sure he was pleased you finally did that. Nancy: He was. He was very, very pleased. I did that a long time for almost 20- years. I moved back up to Wisconsin where I am now and decided after 20 years things happened and it wasn’t the right fit anymore. I had to make another change. Kate: So … did you join the family business? Or create your own agency? Nancy: I wasn’t in the agency with my family we were just in the same field. I ended up being an independent agent outside of what they did. I did that for a little while and decided that I wanted to step away from the insurance industry completely. Kate: How was that experience? When you … essentially an independent agent is an entrepreneur. Was that a difficult transition for you after working for someone? Nancy: It makes you feel like you’re still part of a corporate world. You think you’re independent, but yet you are structured under rules and regulations of what you can and cannot do or market on. You’re always asking for permission or constantly running things under regulators. It’s very tightly regulated. You feel like an entrepreneur and told you are and are an independent business person, (but) you are still reporting to corporate heads. It had the same feel as GE and that wasn’t authentic for me. It clashed inside of me and was part of why I had to make the change. Kate: did you know what you would do next? Nancy: I couldn’t be doing this anymore. I actually did a few things in a few years, made a few changes and through that I really grew. Making a change in a career is not a bad thing. Growing up in my era it was always about keeping a job for 30 years, but I have found significant growth in every job and every avenue I’ve done. I started working for a manufacturing firm where I worked in safety and gave that a try. I did quite well. Then I had the opportunity to work at a tan salon with a friend as a joint venture. That’s when I got the taste again of being an entrepreneur. She allowed me to run that the way i wanted to. After a few years of being in the tanning industry that wasn’t exactly what I wanted, but I was getting closer. I hooked up with some gentlemen who did credit card processing and that was a lot like insurance, but wasn’t like the corporate twist. One of the gentleman said he did mobile apps. That’s when everything changed for me. I found the one thing that would give me the balance of everything I wanted. I ended up taking over the division and making the company my own. Kate: Are you a techie person? Do you know how to write code? Why did mobile apps speak to you that way? Nancy: I am a techie person. For a while there I was even helping teach women how to use Microsoft Office so they could better their education. I love technology I just love it. I don’t write code. I’m not that geeky. I like how the moving parts work, how technology can help explode a business and help people enhance their lives. There are a lot of different things to it. But I don’t have to write the code. I have people to take care of that for me. Kate: Tell me about the apps. 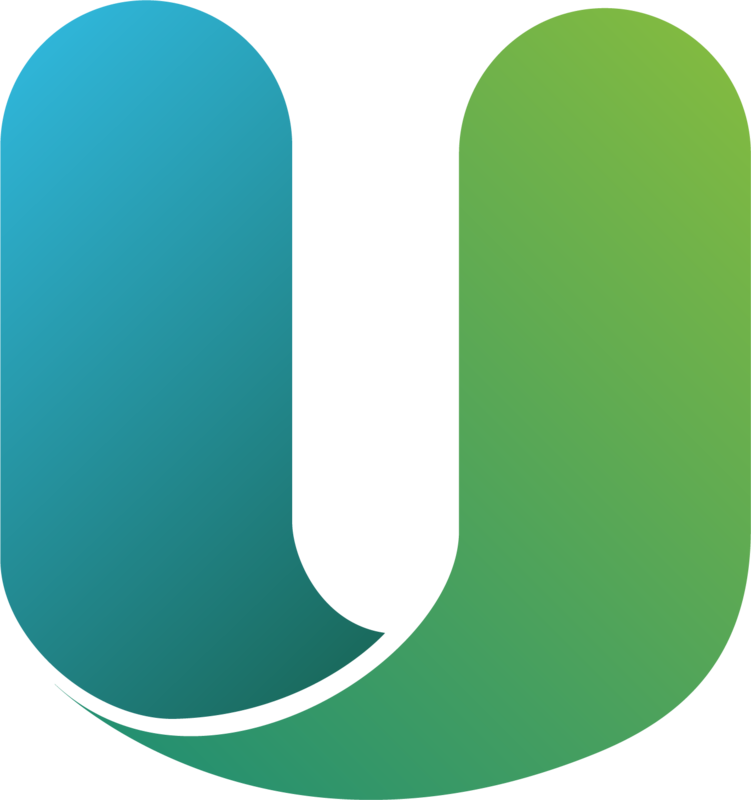 What kind of apps do you “unleash” and to whom? Nancy: I do the small to medium businesses. 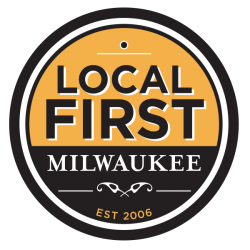 One of my most successful apps is a little bar here in Wisconsin in a little town called West Allis. It’s just a typical corner bar. There isn’t anything special about it, but he has 1600 downloads. He uses it for dart tournaments. There are 1600 people he is engaged with. In this little town there has to be 100 bars and I’m not exaggerating, and he stands out and is competing with the big boys and the big budget people. As well as my doggie grooming place. That’s another one that is truly “unleashed” if you will. They love it for scheduling and communicating with customers and the loyalty program in it. Starbucks – with Starbucks what can you do? 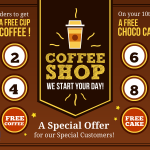 You can use loyalty program, purchase product, find a location, communicate with store. It has to be close to half a million to a million dollars to develop. We do all those same things. AND…We are a fraction of the cost. These small businesses can increase their bottom line. One of my apps has helped to increase his bottom line 30%. Another one does antiquing outside of Kenosha in Wisconsin and they really stand out because they are constantly changing what is in the app to see what new items are in the store. There are a lot of ways people are using it and I’m loving it. Kate: Is it primarily brick and mortar businesses using this? I have a coaching service using it to send out daily push notices and motivational affirmations of the day I have a client working out of his home that does asset management. He keeps people informed with what’s going on in the marketplace. And another one is using a “chat bot” which is in the moment coaching. It’s literally a chat you’re having with the person. The actual owner of the app doesn’t have to be there she has it set up so that if a question is asked it answers back and forth. She loves it because if people need coaching it’s right there. Another one uses it help with product selection for techs in the field with batteries. Techs check it out in the field and it’s phenomenal with the varying usages of the pap. Kate: That sounds amazing. And you said it’s reasonably priced? Nancy: Yes, yes! I’m very transparent with my pricing on the website. 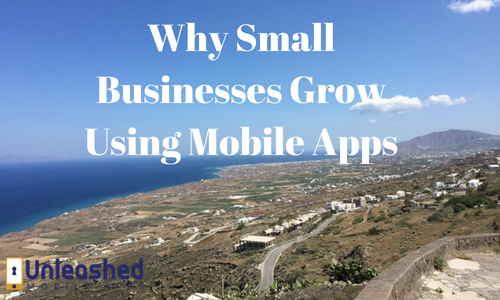 Most apps start from 2,500 up to 5,000 to do development through us where a lot of business owners get scared and the fear stops them. You think it’s a 50,000 item. It doesn’t have to be. It’s not that expensive considering it’s a good investment and get a great ROI from the mobile app. Kate: It sounds like it, you’ve given great examples of that. Your clients call you “The App Mama” how did that get started? Nancy: That started online. I was having a chat with someone and she tagged me the app mama. I have the name and I enjoy it. Kate: I love it. It gives you an advantage with customers that are not Millennials that may not know the technology themselves and want someone who understands what they don’t understand. Nancy: They feel comfortable asking questions because they know I can translate their language. I’ve been where most of these small business people are. Even though insurance was corporately run I had to take care of all the nitty gritty things yourself. Employees and product sales and marketing and all of those things. I know where these small businesses have been and what they are going through. Kate: You are also a #1 bestselling author! Tell me about the book! Nancy: I am! 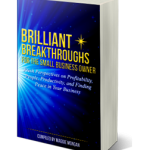 It is the “Brilliant Breakthroughs for the Small Business Owner.” We bring a fresh perspective on doing your business. Running it, people, profitability, production and bringing peace to the business. I teamed up with 8 authors to bring this book together. It is a “must” for a small business owner. It takes care of everything from a head shot, to a mobile app to putting a podcast together and finding peace in your business. It’s needing balance. We brought that to #1 in many categories. And we have a mobile app. Our “Brilliant Biz Book” mobile app you can go to and listen to our podcast. Every week we put someone on there. 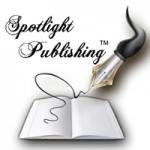 We interview one of the authors. It’s a fantastic experience and I learned a lot working with these people. I consider them my colleagues and close friends. Kate: What is one book or resource besides your own that changed your life you would recommend to people? Nancy: I recommend that everyone get the book “Three Feet from Gold” by Greg S. Reid and Sharon Lechter. On days when you don’t quite feel like things aren’t going your way I think of that book. I remember what that book has taught me. I am no closer than three feet from gold. It helps you realize how your thoughts control how things are going in your world. Instead of thinking of things as an expense it’s an investment. Instead of seeking advice from family and friends they might not have your best interest at heart – seek professionals. Talk to a professional web designer, a professional attorney if you’re looking for contracts to set up business properly, CPA an insurance agent and seeking highly professional mobile app developer instead of asking a 12 year old to put the app together for you. One time I had a 10 year old show me how to increase the memory on my laptop on YouTube. Kate: They do say if you have tech problems ask the kid in the house. Nancy: My father does that to me all the time. He goes to me because I’m his techie. Late: How do you define success for yourself? Nancy: Success is not about how many dollars you have in the bank. It’s about the daily small accomplishments that add up and it’s the handling your tasks and making the communication, seeing a business flourish keeps mine going. I’m part of a team. I’m not just a contractor to do work for them. Knowing that brings me success. I look at what I’ve accomplished in a day. It’s not always dollars and cents in success it’s everything else with it. Kate: Tell me more about the podcast. Nancy: It’s all about business tips and tricks and things happening in small business. One is about head shots and how important those are and how it changes business. Finding your zebra and the zebra is his ideal client. The avatar. When you are talking to your avatar and you have an ideal person then your marketing makes sense. If you can go out and talk to anybody you are really talking to nobody. Anytime people need something in the business that’s a good spot to go to for generic information or motivation. Kate: Is it available on iTunes or just on the app? Nancy: It’s on iTunes. It’s just like YouTube. All of these things can be centrally housed in an app. It’s the brilliant breakthroughs podcast you can also listen to it from the app. The newest podcast will automatically go on the app. Kate: What is next for Nancy Lucchesi? Nancy: We are looking to expand into the manufacturing world. There are some nice niches that can use a mobile app internally. It’s a new twist that is just coming about since we introduced the chat bot. We are venturing into an area where i haven’t worked in manufacturing since 6 or 7 years ago when i was at the safety job. We’re finding it fun. It’s an expansion to our business we hadn’t thought of 2 years ago. Kate: How big is your team? Nancy: I have contractors, but I’m mostly a solopreneur. I work with a developer. I have another person who takes care of chat-bots and a contract with 19 different developers. We take on projects and get them done quick. And of course I know how to do all the things behind the scenes as well. I just don’t do it all everyday. Kate: I don’t blame you. Nancy: I do what I do best and hire out the rest. Kate: Do you have a cheesehead hat and wear it on game days? Nancy: I have a cheesehead hat, (but) I do not wear it. It sits reverently on the mantle during game season. I have a jersey I wear. I am very green and gold and proud to say I am the owner of a Vince Lombardi, Max McGee, and Bart Starr (picture of) the last play of the Ice Bowl framed in my office. Green and Gold goes deep in my house. Kate: Founder of Unleashed Mobile Apps and the App Mama Nancy Lucchesi thanks for joining us today! 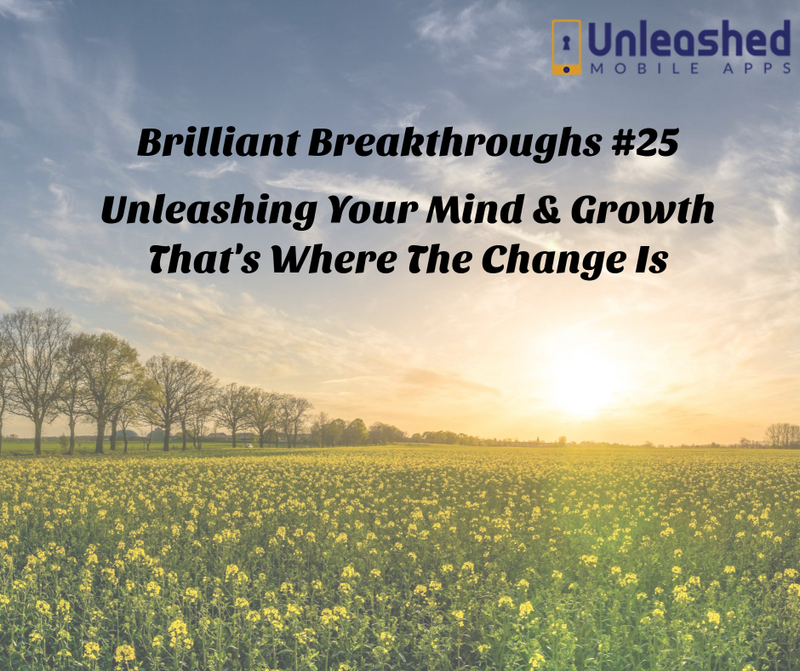 Should you be ready to redefine your business success and get your business onto mobile technology, contact Unleashed Mobile Apps today to get more info or to get started.